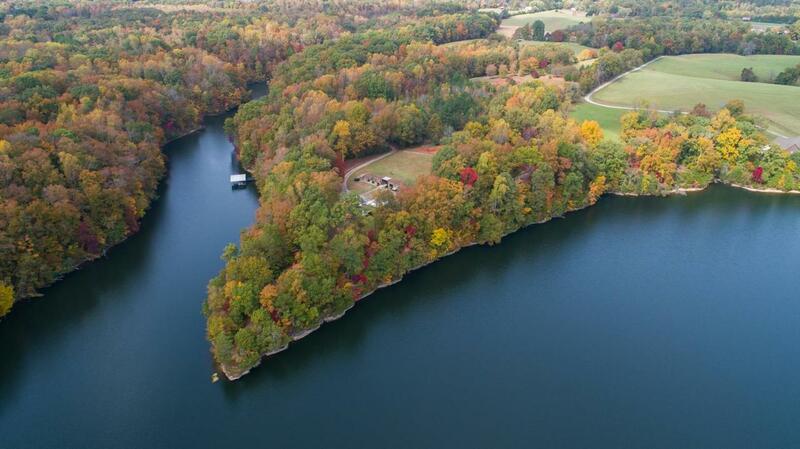 Estate lot on Tim's Ford Lake with 9+ Acres on the point. Deep water year round with boat house. Berm home is being sold As-Is with detached 3 car and 2 car garages. This lot has great potential for a future custom home with unbelievable views and privacy.